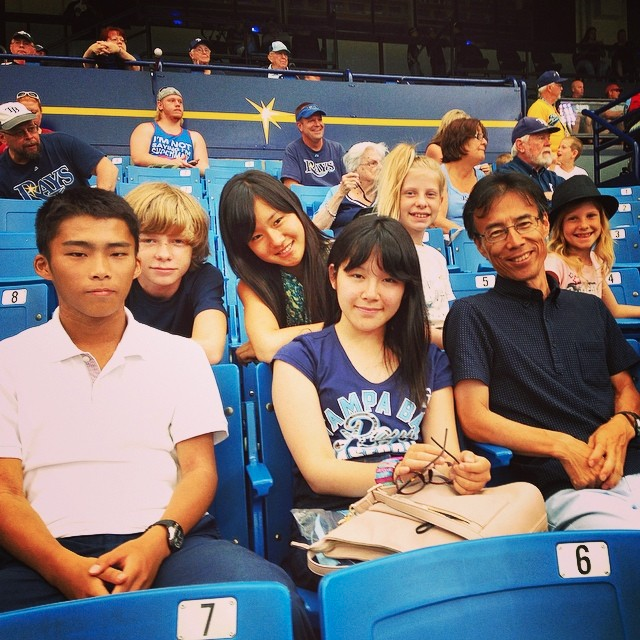 Exchange students from Takamatsu, Japan, attend the Rays game. St. Petersburg celebrated its 55th anniversary last year with its first Sister City: Takamatsu, Japan. And in 2016 St. Petersburg gained its second Sister City, when Mayor Rick Kriseman signed an agreement with Isla Mujeres, Mexico..The relationship with Isla Mujeres began the year before, as a Friendship City, after serving as host cities for the annual spring Regata del Sol al Sol yacht race for more than 50 years. St. Petersburg also has Friendship City relationships with Figueres, Spain, and St. Petersburg, Russia. As part of its Sister City relationship, St. Petersburg selects one or two high school juniors to serve as student ambassadors during a summer cultural exchange with Takamatsu. Students participate in daily activities, visit landmarks and share cultural experiences with Japanese host families. In return, visiting high school students from Takamatsu are placed with host families in St. Petersburg for similar cultural learning experiences. ​The city of St. Petersburg has appointed SPIFFS (St. Petersburg International Folk Fair Society) to support and manage the Sister Cities and Student Ambassador programs.